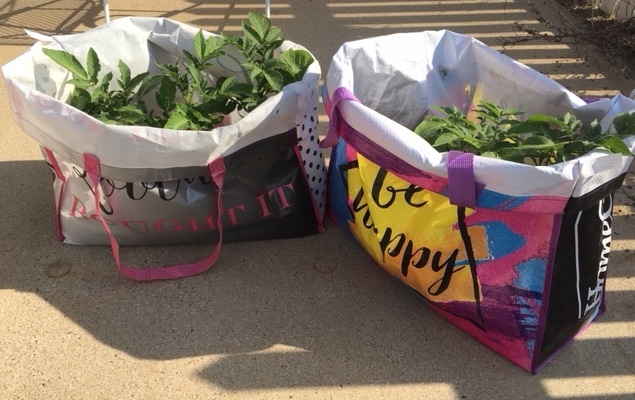 The one on the left is fairly full, but the bag on the right could use a little more dirt. They look very healthy. 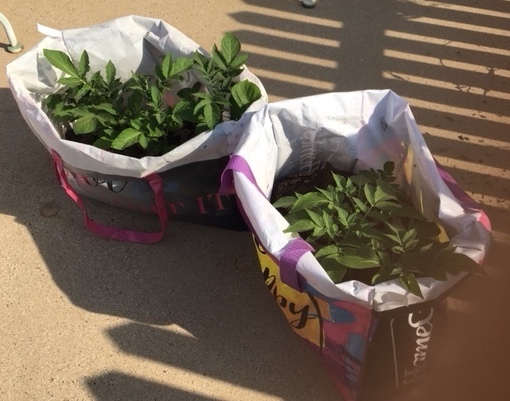 Who would have thought that you could grow potatoes in a bag. It is simple. Just choose a bag. 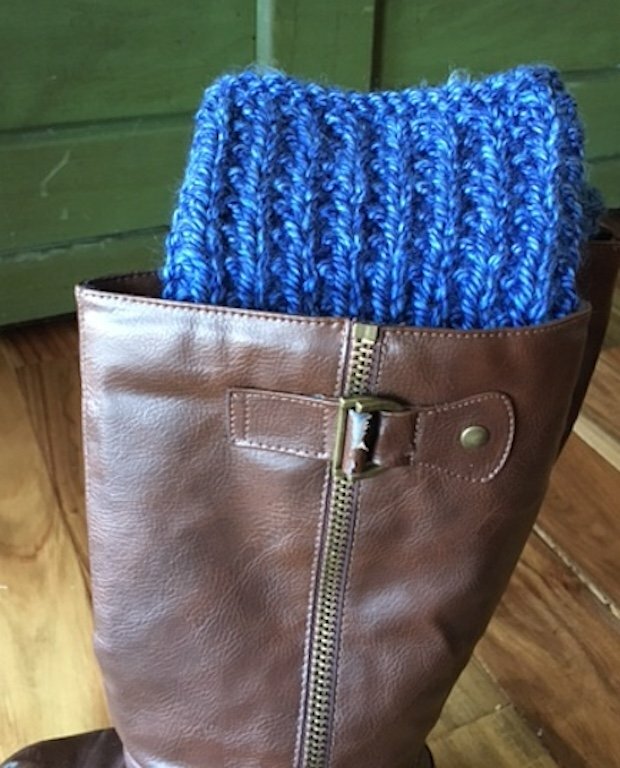 You can use a burlap sack or even a trash bag. You put a small amount of dirt in the bottom of your bag and add seed potatoes with the eyes facing up. Add dirt to cover the potatoes. As the potato grows you will add more dirt often so that only the tops of the potatoes are showing. The potatoes above are ready to be covered with more dirt. Keep them moist, but not wet. When my potatoes are finished I will take some more pictures. It is so easy, and as you see above, the plants are beautiful. I use a good potting soil to cover my plants. I can't wait to make some lovely potato soup. Wash potatoes well and poke holes in each potato with a for. Bake until done. Let cool, cut in half, and scoop out the pulp. Throw away the potato skins. Do not mash the pulp. You can separate it with a wire whip when you add it to the soup later. Cook the sliced onions in the butter until they are tender. Add flour, salt and pepper. Add milk and cream and stir until thick and bubbly. Add potato pulp and shredded cheese. 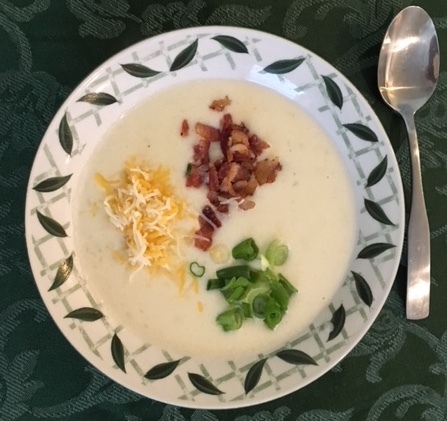 Ladle into serving dishes and garnish with cheese, bacon, and onions as in the picture. This is so good. It is good for an intermittent fasting day. It is wonderful to begin eating at 2:00 when I stop my fast. A backyard garden can be raised or in the ground. 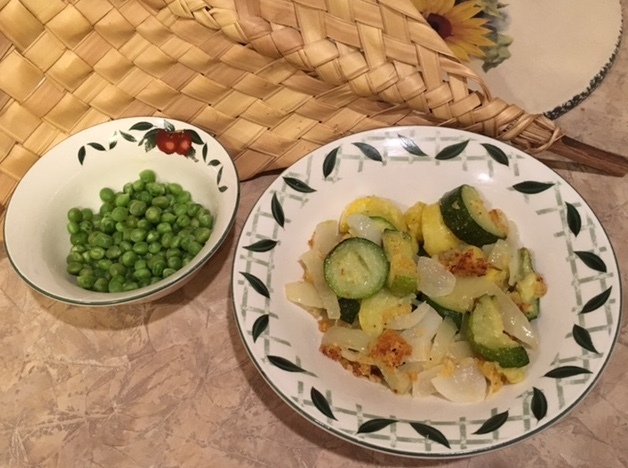 Fresh vegetables are so much nicer than those sitting in the grocery store. If you have a raised garden, you know how they have been grown and fertilized. You don't have to pick them until they are perfectly ripe. They will be tastier. You don't have to till the ground, if you build a garden that is off of the ground. You will rarely have weeds. 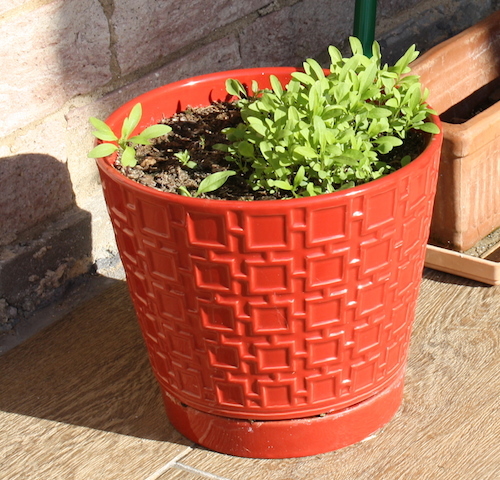 This planter is in its second year of use and is still in good condition. I don't have to bend over or get on my knees to take care of it. 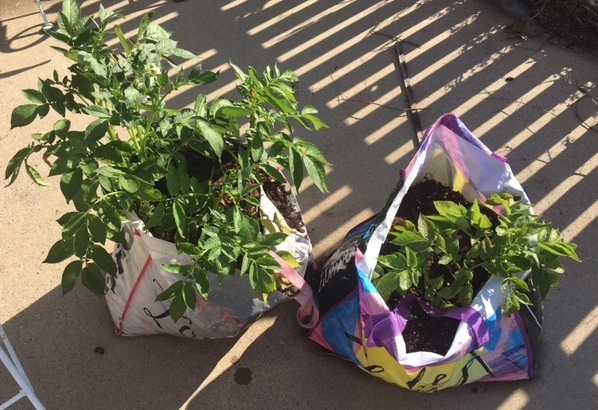 I grow peppers and tomatoes in mine. I have a smaller planter that I use for herbs, but this would make a lovely herb garden. Rabbits were under my garden this year, but there was not one super rabbit who was able to get into the garden. Pests are not so prevalent in a raised garden as in one on the ground. Actually my dog, who is not really a pest, was able to jump up onto the soil, but when I put in the plants she stopped jumping up. You just build a simple box with a sturdy bottom in it. Put the box on legs and add a frame at the top for putting up a tarp for shade or plastic to protect from unexpected cold snaps. You can also attach twine or wire to the top for plants that climb. you will need some wood and nails and screws. You will also need someone to build the box. My husband built the one above, but didn't keep measurements. Then just add good soil and plants. 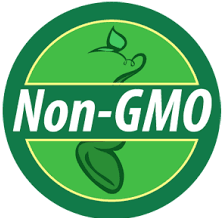 GMO means genetically modified organism.When you buy seeds or plants, be sure to look for non gmo on the label. GMO seeds and plants have altered dna. These seeds and plants have been thought to cause health issues. Some people have no problem using GMO, but I prefer to use other types. Milk from cows treated with GM hormones has been thought to cause cancer. I think the jury is still out on GMO seeds and plants, but I choose not to use them until such time as they are shown to be safer. Heirloom seeds have not been modified. they Have been handed down from one generation to the next so they are a good choice. 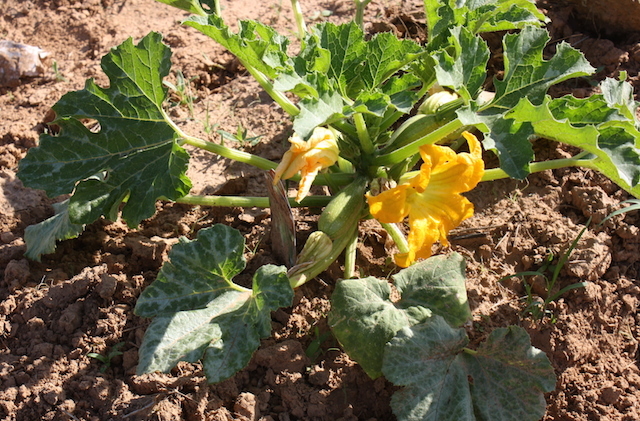 Hybrid plants and seeds have been deliberately cross-pollinated, but are not GMO. 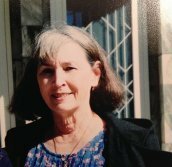 I use some hybrid plants in my garden. 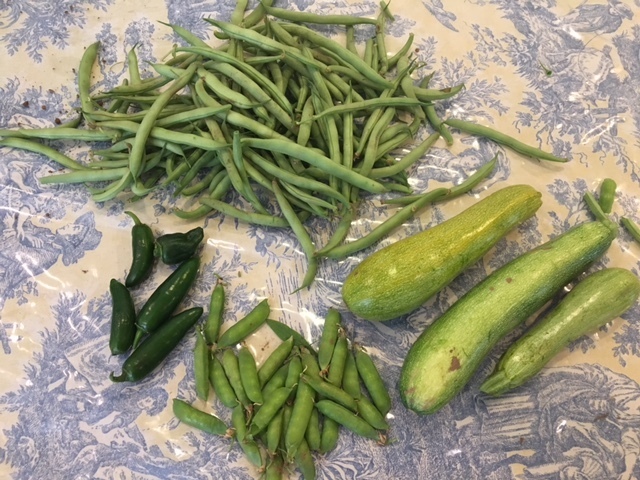 My very first harvest--pretty good for a novice gardener. 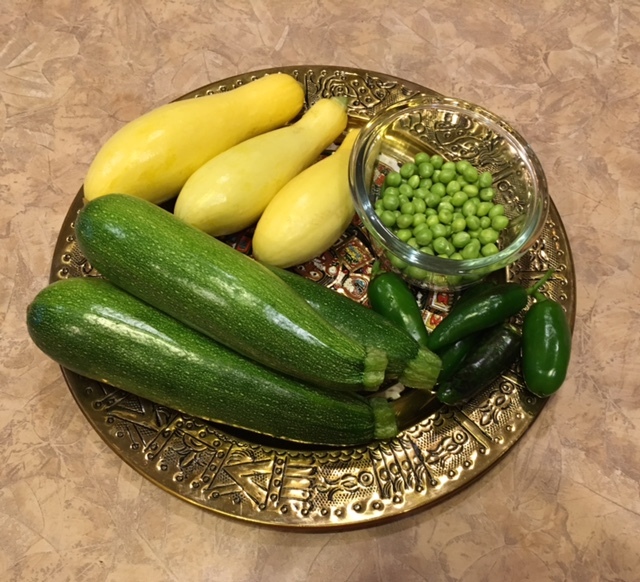 Today I picked my very first vegetables. I was amazed that they turned out so well. There are plenty more to pick that were not quite ready, so I need to decide what I will do. These will be steamed, seasoned and eaten. The peppers will be used for guacamole and sauces. The tomatoes are looking good in the garden but need a few more days to ripen. I am thinking of trying to make some catsup. I found an old (1939) cookbook with some good canning recipes and will share those with you as I use them. We are excited to have fresh vegetables that are not genetically modified or treated with pesticides or chemicals. I can't wait to eat them. I can't believe that I was able to grow these beautiful vegetables myself. We have had so much rain this year that I thought they would drown, but they are beautiful. A garden can be large or it can be small. A few tomato and a few pepper plants and a short row of onions is good. You can make your own salsa from ingredients you grew yourself with no pesticides. 1. Decide what you want to plant and how big you want your garden. 2. Till the ground or turn it over a few times with a shovel. Remove any weeds or plants from the dirt. 3. Plan your rows. You can tie a string between two stakes and use that to keep your row straight. My brother-in-law brought his tractor over and made our rows that way. You can have your rows flat or you can mound them. Mine are mounded. I think originally that was done for irrigation purposes, but I find the mounds easier to hoe. 4. Plant seeds or buy plants. Most plants and seeds have good directions on the packaging. Different vegetables need to be planted at different depths and different times so read carefully. 5. Make sure your plants get regular water and fertilize as directed on package. 6. Watch for weeds and grass and use a hoe or just pull them up by hand. Get rid of weeds as soon as they appear. I don't use any chemicals to get rid of weeds as I don't want pesticides in my food. My garden seems to have invited quite a few lady bugs which will, I am told, eat aphids and other undesirable creatures, but it is also full of ants. My friend told me to mix honey, peanut butter and borax, spread on small pieces of cardboard, and leave it close to the ant hills or areas of large populations of ants. I will let you know how that works. I have also read that vinegar and dishwashing soap will help. I did try this in the flower bed and it seemed to work. The ants are no longer there. I mixed about 1/2 cup of vinegar, 1/2 cup of water and about 14 cup of liquid dishwashing soap and generously sprinkled it in the area. In my garden I have tomatoes, peppers, onions, cucumbers, squash (green and yellow), kale, corn green beans and peas. I also have watermelon and cantaloupe. 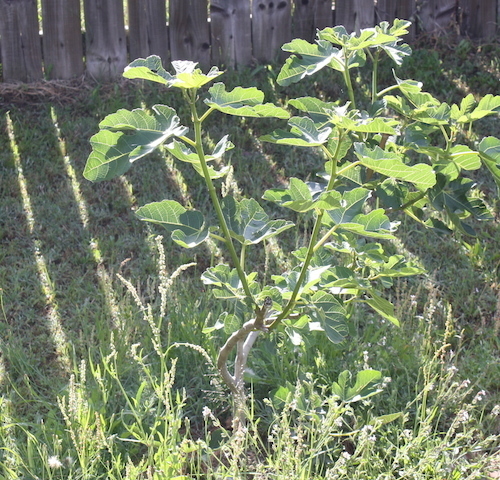 I also have a row of okra and it is growing fast. Whatever you like to eat, is what you should plant. Will I be able to keep up with the weeds? I am not sure. This ground was all grass last year so it will be a fight. It is a lot of garden also. 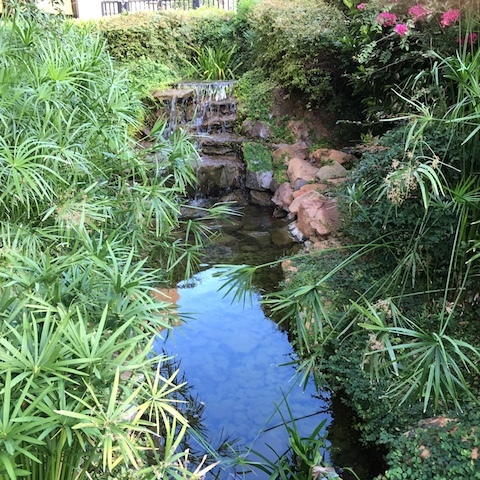 If you keep your garden small, it is easier to care for. My husband likes raised rows, but most gardens I see these days do not have raised beds and appear to grow quite well. I think it might just be whatever you prefer. My garden is going to be so much work this year, but I still want to have time to plant and care for flowers. Bulbs are easy to plant and to care for. Most of them need to be planted in the fall. 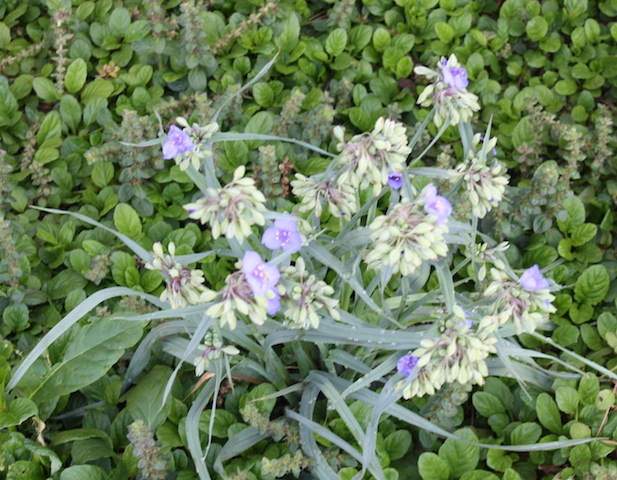 If you have ground cover or other dense growing green plants between flowers, there will be fewer weeds to worry about. 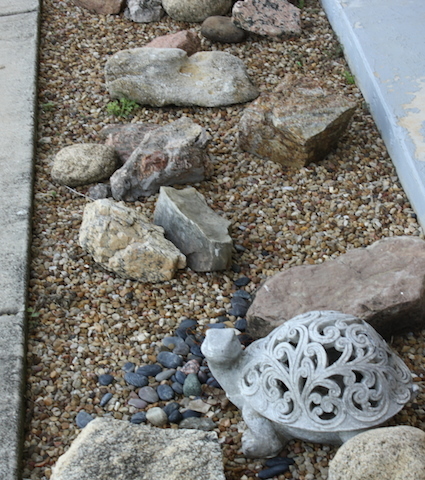 If you are too busy working in the vegetable garden to plant flowers and shrubs, you can put some rocks in your flower beds to keep out the weeds and there you go. It is easy and looks good. I have this all across the front of my house. The few weeds that appear have no root depth so are very easy to remove. If you want flowers with no fuss, just get a pot and plant some seeds. These seeds were a gift and we don't know what kind of flowers they are until they grow. My granddaughter planted them and they are not spread evenly, but a small figurine will solve that problem. We may also have to thin the flowers as they look crowded. Flowers seeds seem to grow quickly. A tree is so beautiful and just looking at trees has a calming effect on many of us. 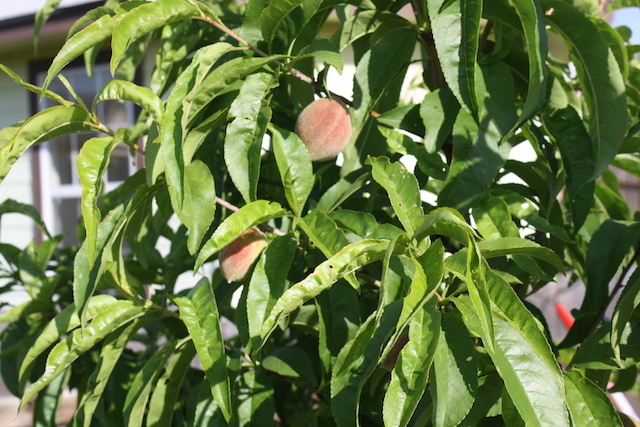 a few weeks in the ground and the peaches are looking good. 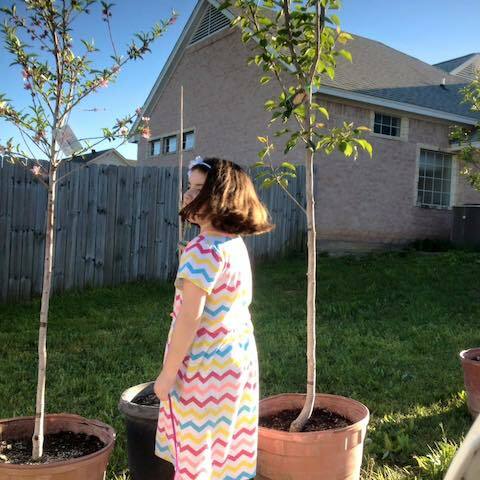 We bought these trees at a local nursery. They are a few years old so they are going to have a good root system already. Just remove them from pots without disturbing the roots and they will do well. Make sure the hole that you dig is large enough. The nursery waits three or four years to sell the plants so that they have a good start. 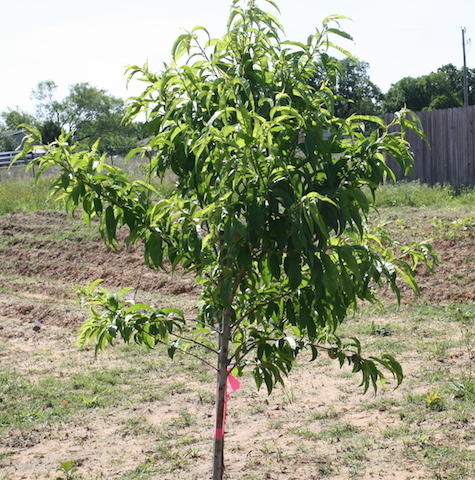 We purchased a fig tree, 2 peach trees, pear tree, and a pecan tree. 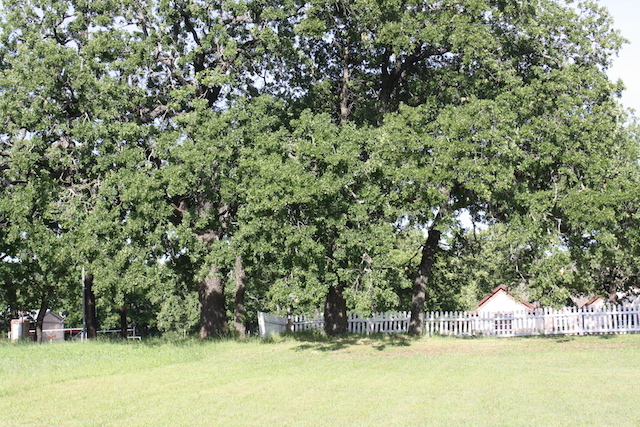 We planted the pecan tree farther away from the rest of the trees because it will grow to be a much larger tree than the others. 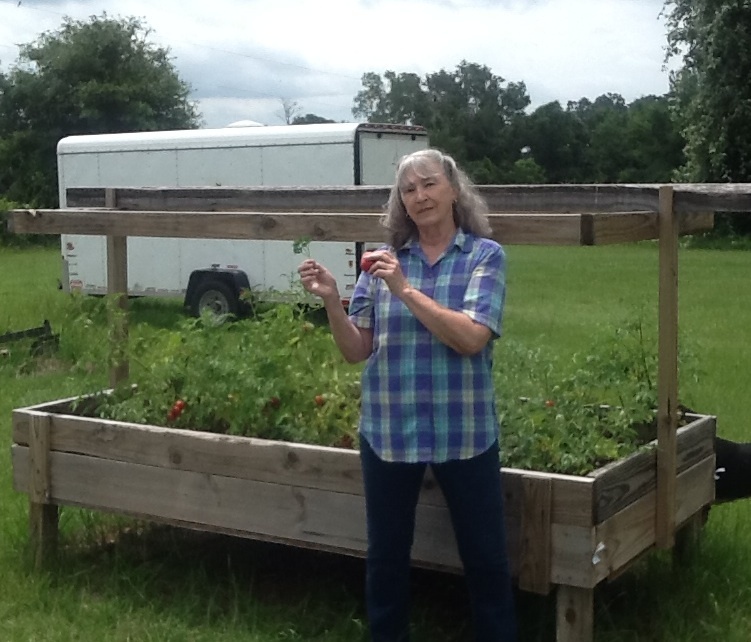 "Nothing tastes better than fresh vegetables and fruits grown in your own backyard garden." If you grow it you can know that it is gmo free and organic.